Pandas are the most intelligent and cute looking creatures and are becoming extinct. There is a great emphasis from wildlife organisations to save these beautiful creatures. And Panda Pow slots is a tribute to such an approach where you get to play with a Chinese panda. This five reels slot has 25 paylines to help you win. The reels are set over bright red Chinese patterned wallpaper with ancient buildings. There is soothing spa music in the background that helps you keep your cool. The betting here begins with a mere 25p and can go up to £500 each spin. This amazing slot game based on the cute and exotic creature was developed by Lightning Box. One of the most popular brand names in the world of online casino gaming. They have a rich industry experience and several award-winning games that they have created. There are various Chinese style symbols in the Panda Pow slots. You can play with a panda on a tree, a hand fan, Chinese lantern, goldfish and three golden coins tied together. They pay you 50x each when of a kind show up on the reels. The top paying symbol is the panda on a tree with 500x as payout upon five symbol win. There are two additional symbols in the game to help you win from bonus features. They are a golden panda and a panda with a red bandana. Wild Symbol: The panda with a red bandana is the wild symbol and it covers for all the base symbols. Wild can appear only on reels two to four and helps you make enhanced combinations. 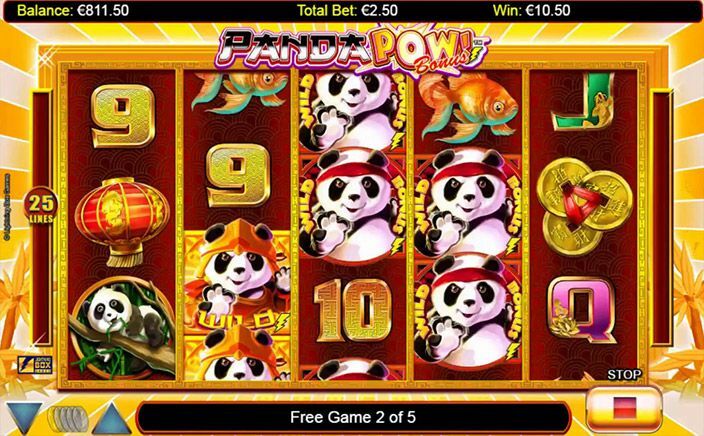 Scatter Symbol: The panda as above is the scatter feature of Panda Pow slots as well. This can appear fully stacked on the reels and five or more anywhere on the reels gives you free spins. From five to nine appearances you can win five to twenty free spins. These spins can be re-triggered anytime and any number of times. Golden Panda: The golden panda symbol is the additional wild but appears only during the free spins. This symbol appears on reels two to five. 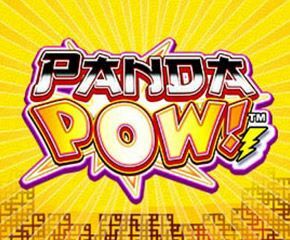 With plenty of action sequence and animated effects, Panda Pow slots is loaded with bonuses that make winning a cake walk here. The RTP here is 95.51%.